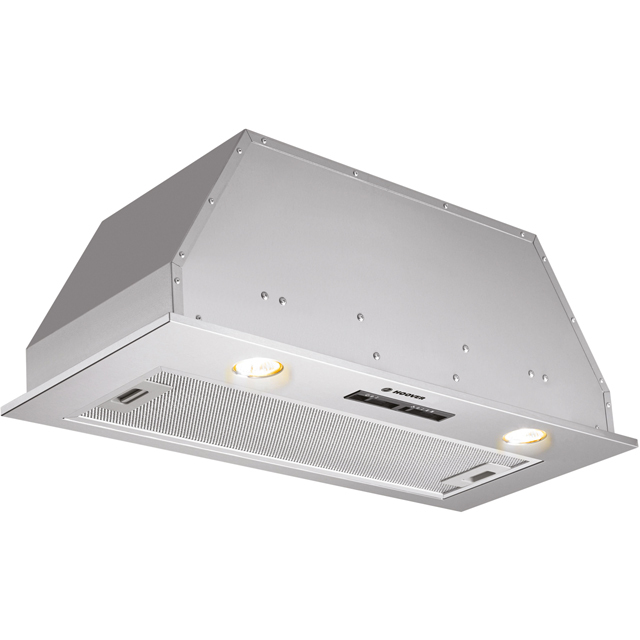 Breathe clean air in your kitchen with this canopy cooker hood from Hoover. It’s 75cm wide, so will sit above a standard hob. And, its maximum extraction rate of 616 cubic metres per hour means it’ll easily handle a medium-sized kitchen. So you can cook as many aromatic dishes as you wish without the smells lingering long after you’ve eaten. It has a noise level of 69dB, which is on the louder end of the scale, and it features an LED bulb to light up whatever you’re making. Just use the simple slide controls to turn it on and illuminate your pans - great if you’re cooking late into the evening.